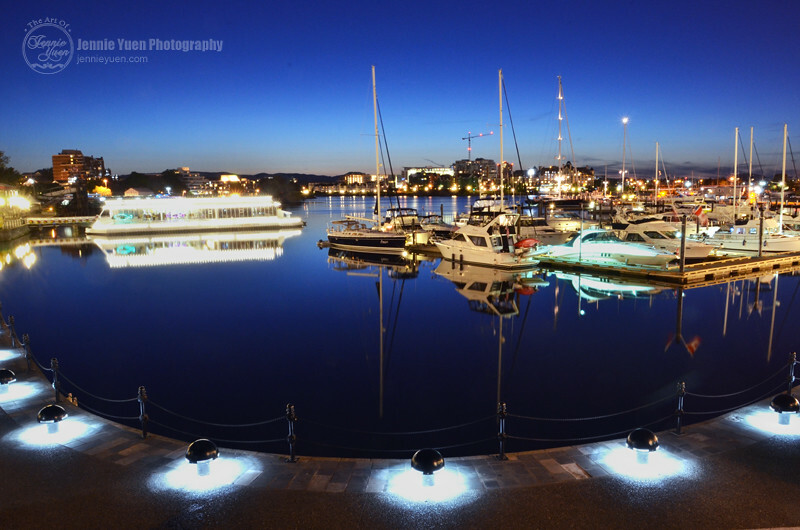 I just love the night scene and long exposure photography. 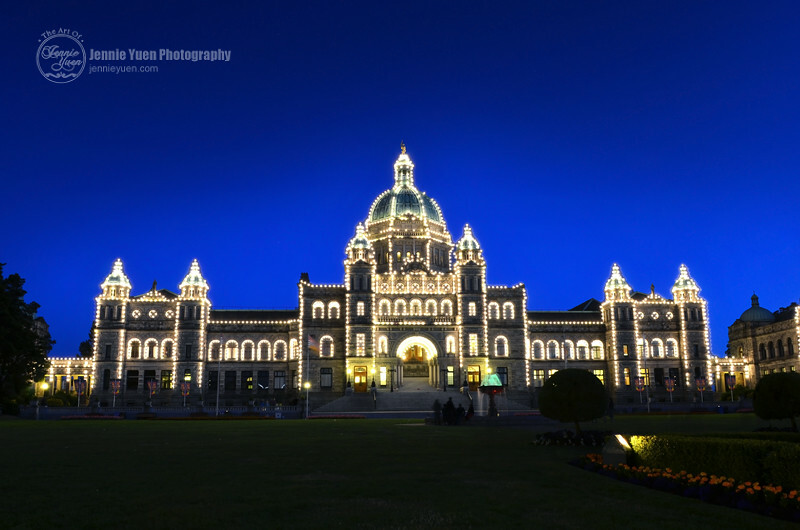 During my trip to Vancouver Island, we went to visit Victoria and stayed at the hotel in the downtown area for a few nights. 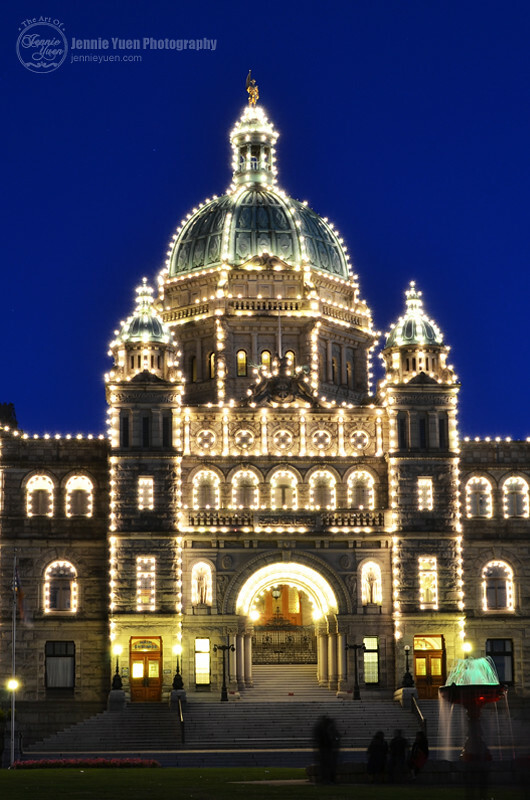 BC Parliament Building and the fountain lit up at night.